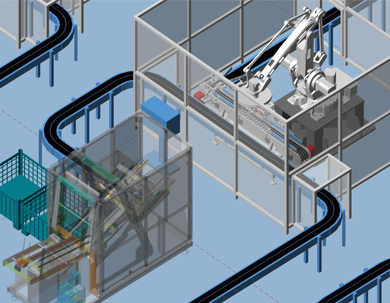 The MPDS4 3D Factory Layout Software is available free of charge for students, as well as for educational and research facilities. 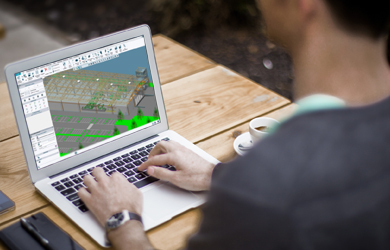 Lecturers and students benefit from a multi-user 3D factory engineering suite that is easy to administrate and provides integrated 2D drafting software, as well as extensible catalogues of 3D components for all major design disciplines. The engineering suite includes extensible catalogues for factory and conveyor design, piping, steelwork, HVAC and electrical routing. Students can design their own parametric 3D catalogue components, and create walk-through paths directly in the design environment. Designs can be exported to a lightweight 3D format, allowing students to e-mail them to their lecturer for review using the external MPDS4 VIEW software. 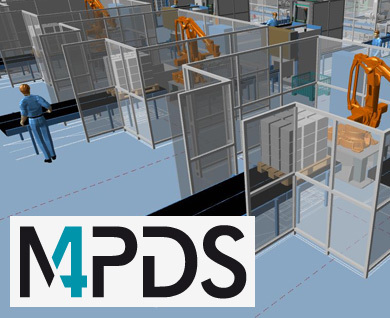 MPDS4 is available as a free trial version from CAD Schroer’s website. A free student or educational license can also be requested directly from the manufacturer. After receiving the license, the software can then be used by teachers and students for educational or research purposes. Updates are provided via CAD Schroer’s website and a new student license can be requested at any time.